The first step is always the hardest. This old saying rings very true when it comes to talking about medical weight loss program. Sometimes, the hardest part is just getting started. Before you can achieve anything, you have to make the choice that you deserve better, that you are capable of more and that you are ready to make that change in your life. The decision to try Optifast weight loss is one of the better things that you’ll do for yourself, and you should be proud of yourself for that decision. 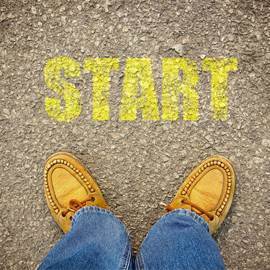 Fear, anxiety and hesitations will surmount as you take the first steps to get started, but don’t let those get in your way. Remember, the first step is the hardest. Once you complete that first step, you’ll know what you are doing and where you are going, and we’ll be by your side to make sure that you keep moving forward towards your goal. Team up! You aren’t on this journey alone. Talk to your loved ones about your hopes and plans to lose weight and let them know how they can support you. Reach out! If you don’t feel comfortable talking with loved ones about your weight loss journey. Consider joining a support group to be encouraged by those who are going through similar challenges. Stay positive! Your attitude will have a large influence on your ultimate success. Believe in yourself so that you can stay motivated to reach your goal. Be realistic! You didn’t gain weight overnight, and you won’t be able to lost it all overnight either. Don’t set your expectations so high that you’ll never meet them. Be realistic and work towards a goal that is high, but reachable. The OPTIFAST products are just a tool that will help you reach your ultimate weight loss goal. Every choice you make will determine their effectiveness. Do your best to make the most out of the opportunities in front of you. When you join a medical weight loss program — all you need to do is follow the path. Take advantage of the resources around you and don’t hold yourself back. You can achieve your weight loss goal and enjoy living a healthier way of life.